Flannery Brown, Kate Gangi, Jordan Allbrooks and Dylan Friedman are the 2018 Tiger Award winners. See all the photos from the Sports Dinner! 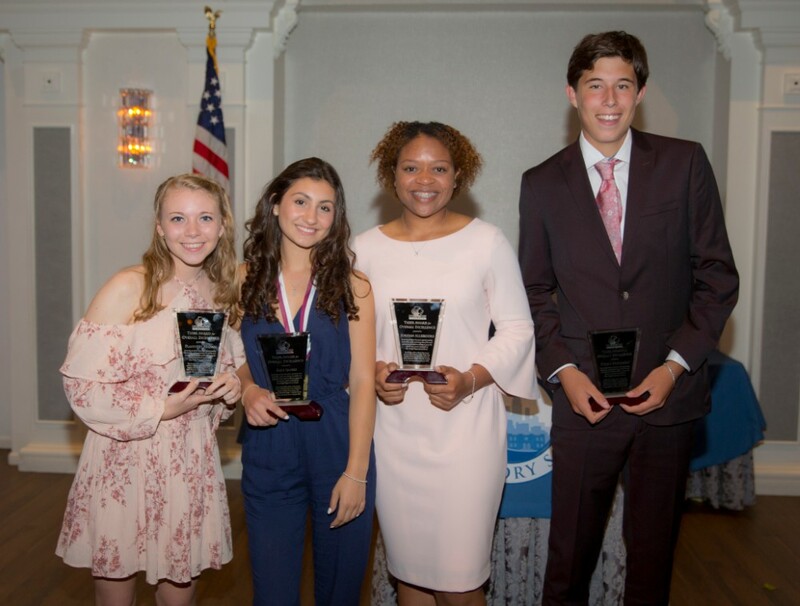 Four seniors were honored with the Tiger Award for Overall Excellence at the 2018 Upper School Sports Dinner. The annual event, which was held Wednesday, May 16, also saw a number of Bay Ridge Prep student-athletes honored for their spirit, leadership and skills in various sports programs. The Tiger Award, the highest honor given to a senior student-athlete, went this year to Jordan Allbrooks, Flannery Brown, Dylan Friedman and Kate Gangi. As the award inscription reads, all four were highlighted for their "positive character, sportsmanship, team leadership, school spirit" and being "one of the most quintessential student-athletes to grace the classrooms, courts, and fields of Bay Ridge Preparatory School." Allbrooks, along with senior Nichole Shef, were also given special recognition for their participation in a sport in every season during all four years of Upper School.